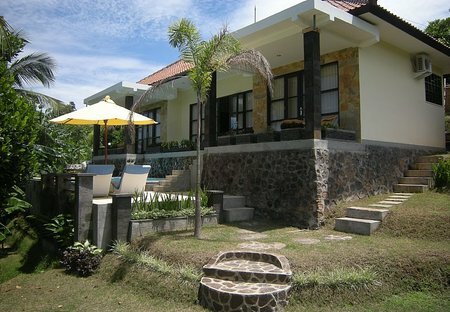 The villa is located on a hillside of a former rice field at about 3.5 km from the sea. The villa has a pool, 2 bedrooms+bathrooms and AC in all rooms. 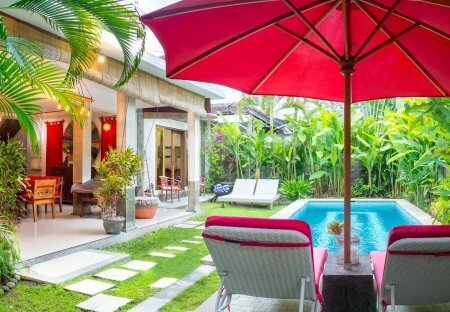 6 bedroom villa with private pool located in walking distance from Jimbaran beach. Closer to that villa: famous beach with restaurant. 4 BR villa with private pool. Jimbaran beach and other popular beach "Padang Padang" (where was filmed movie "Eat. Pray. Love") in walking distance from villa. Elegantly perched in the hills of Jimbaran, Bali, The Longhouse is a luxury villa, which fuses its stunning setting with impeccable attention to detail to create an idyllic escape.